Discussion in 'Squier Stratocasters' started by squierjosh, Feb 9, 2019. Taurus, BlueSquirrel, Pat V. and 4 others like this. Gonna have to agree with you. I think the tortoise don't belong on anything but a white guitar. That's just my opinion mind you. This is a good looking guitar. Nice but never been a fan of CBS headstock. Red tort and white is one of my favorite color combos. Pat V. and Kenneth Mountain like this. I’m probably in the minority, but I love the bigger headstocks. TimTheViking, jamndad and Pat V. like this. All depends when you're born. I grew up with Blackmore, Hendrix, Gilmour, Trower, Tipton and co.
Taurus, Grey Melbourne, BlueSquirrel and 4 others like this. Hey, bigger headstock more sustain! LOL. I like the look of both, either style is ok with me! It's not a deal breaker. I probably lean more towards the smaller traditional style a little. It's like 21 vs 22 frets, also not a deal breaker. I probably like 22 better but no biggie, I don't get that far up the fretboard too often! I see what you meant now about the colour of your guitar. 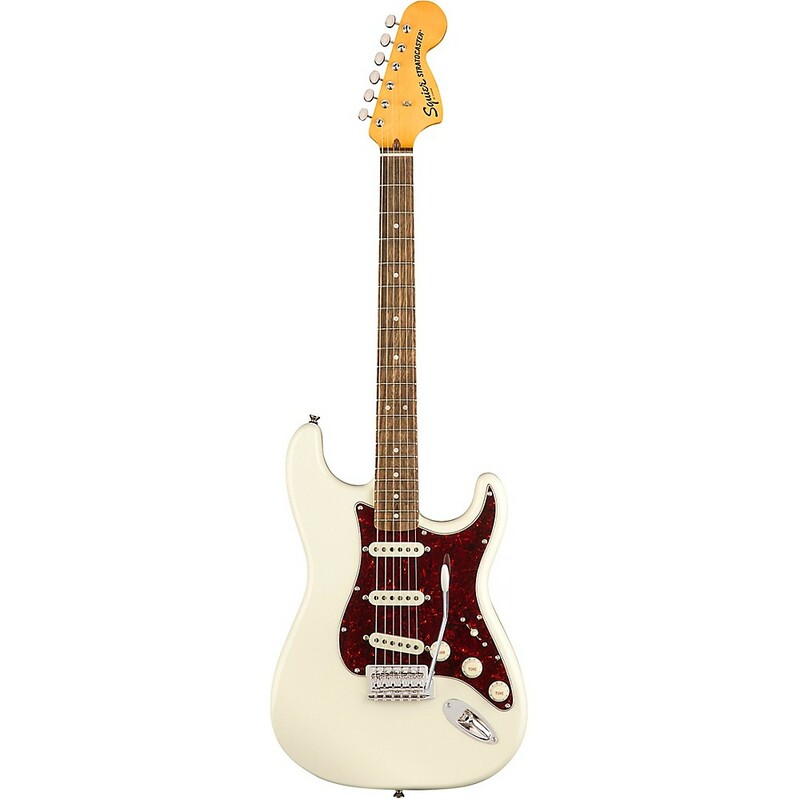 It's a really light off-white but warm colour which goes well with the rosewood fretboard. It's gorgeous! Just can’t get used to the Indian laurel fretboard...so dang ugly. Plus these are advertised as slim neck. I’m glad I’m already set for guitars. Body wood is poplar, which people will complain about, but poplar has Fender history behind it (90’s American Standards) and is a fine wood. Body wood is poplar, which people will complain about, but popular has Fender history behind it (90’s American Standards) and is a fine wood.